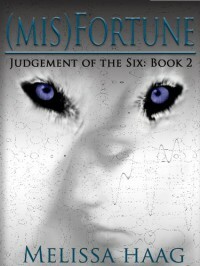 Via http://onlectus.blogspot.com/2013/05/mis-fortune-by-melissa-haag.htmlThis is totally weird, I have more bad things than good things to say about the story yet I loved it!If I fell in love with a dog in the previous book, even more reason to fall in love with Emmit who, unlike Clay, spends his time in his skin.Okay, so Michelle is running from a bad guy and meets Emmit. Oh! But I don't know, I felt everything Michelle felt when she saw Emmit.The bad parts:#1) The story is slooooww.... yet addictive.#2) Every single detail is given... as a whole, I think it was necessary.#3) They seem to spend a lot of time eating breakfast!4) Michelle is the typical weak, shy, useless, I-flush-of-my-own-shadow heroine. Annoying... yet, I think that the story wouldn't had worked any other way. Darn it!The sooo good parts:#1) Do I need to say I fell in love with Emmit?#2) I never wanted to bite some neck so badly in my life.#3) At 82% in my Kindle, Michelle and Emmit finally kiss. BUT what a kiss. I never felt a kiss like this one (since Twilight). I swear I was the one kissing Emmit.Overall: Damn slow book that was so good! I definitely need to make out with someone and claim him. 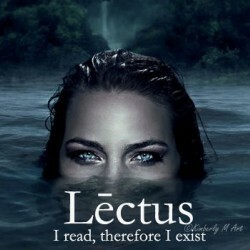 This is a new, different, unexpected, out of the ordinary, etc., etc., etc. werewolf world.